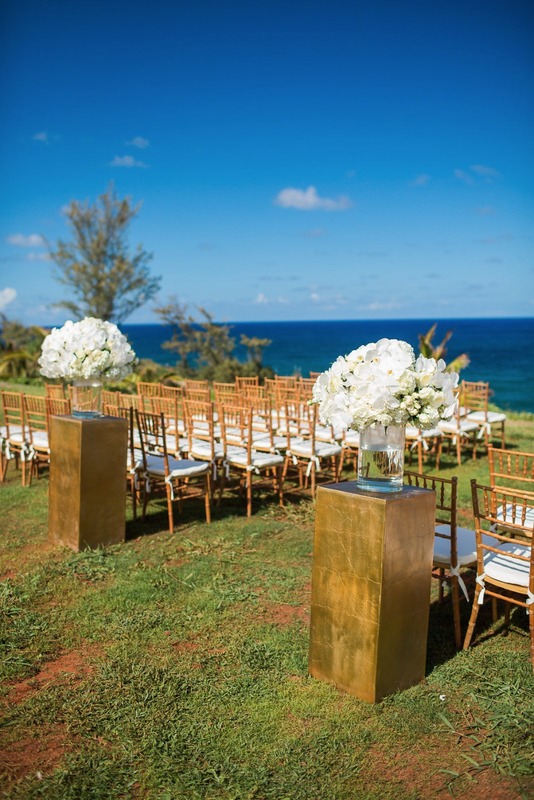 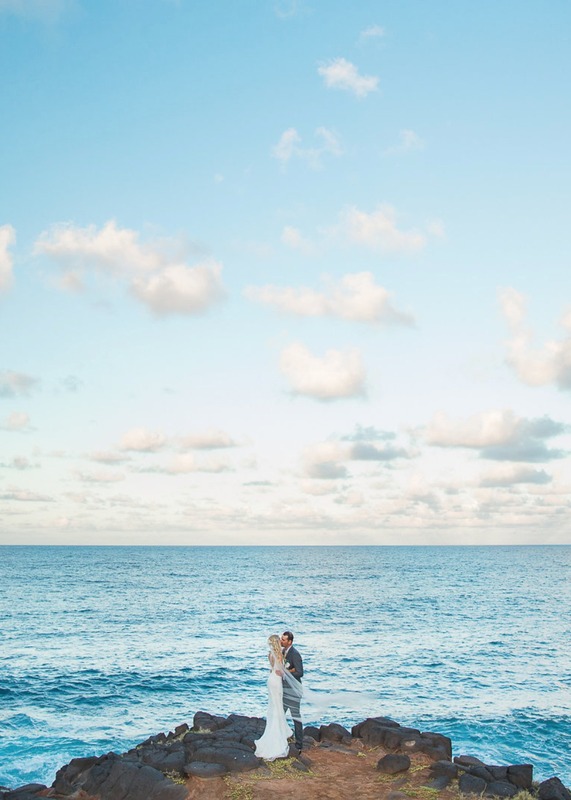 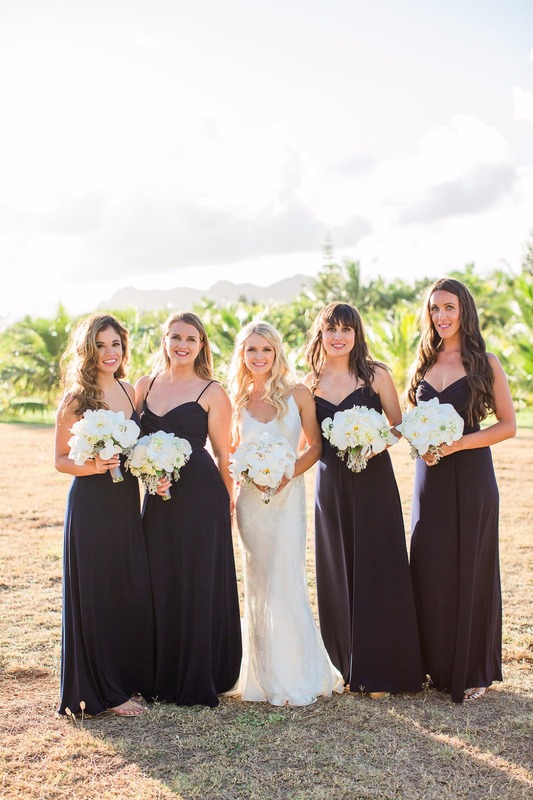 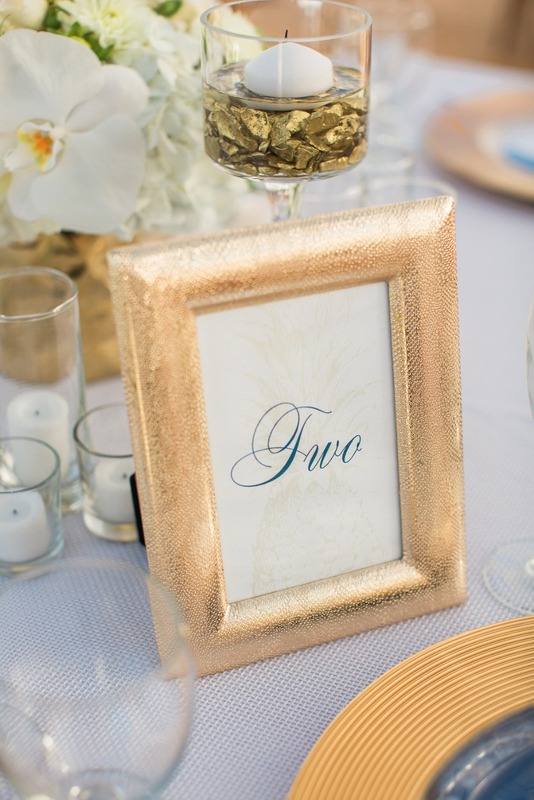 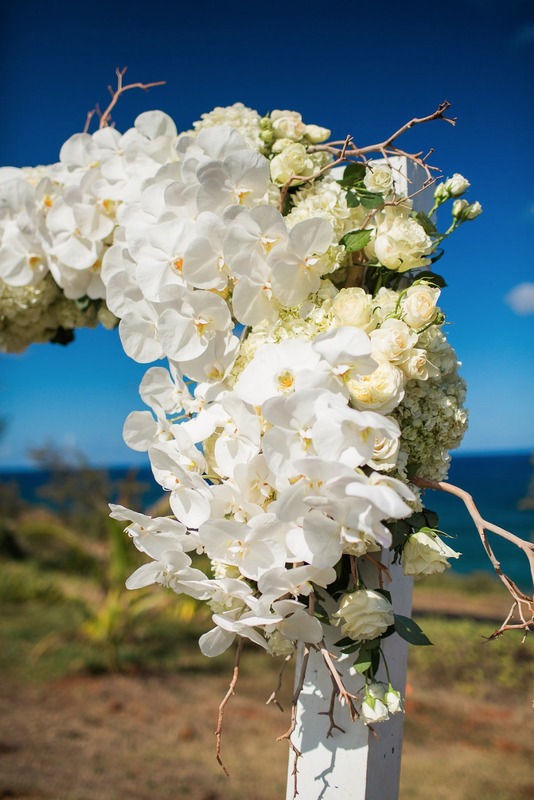 After years of dating, Lauren and Scott decided on the picturesque island of Kauai for their glam seaside nuptials. 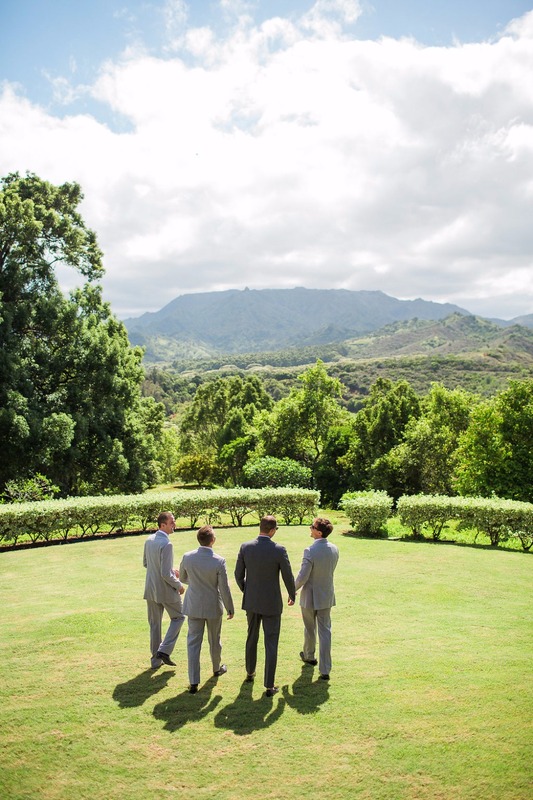 Their families private estate proved to be an ideal location, however with only weeks until the big day they scrambled to get everything ready to go. 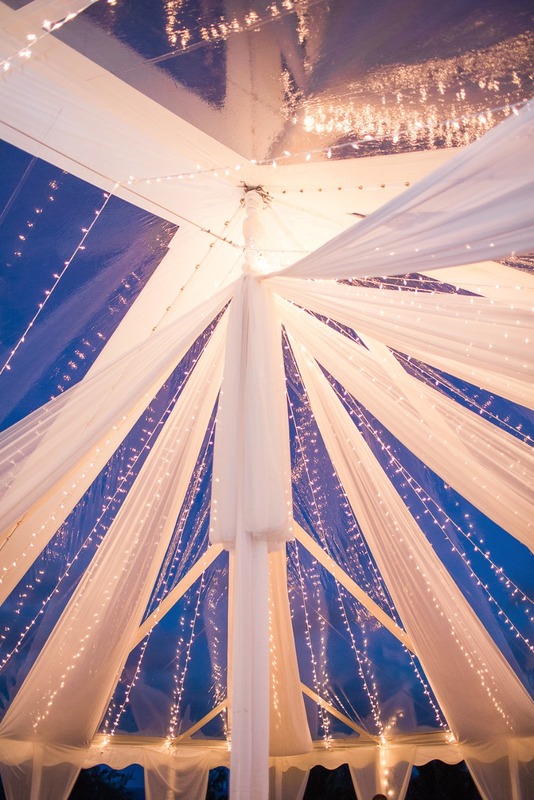 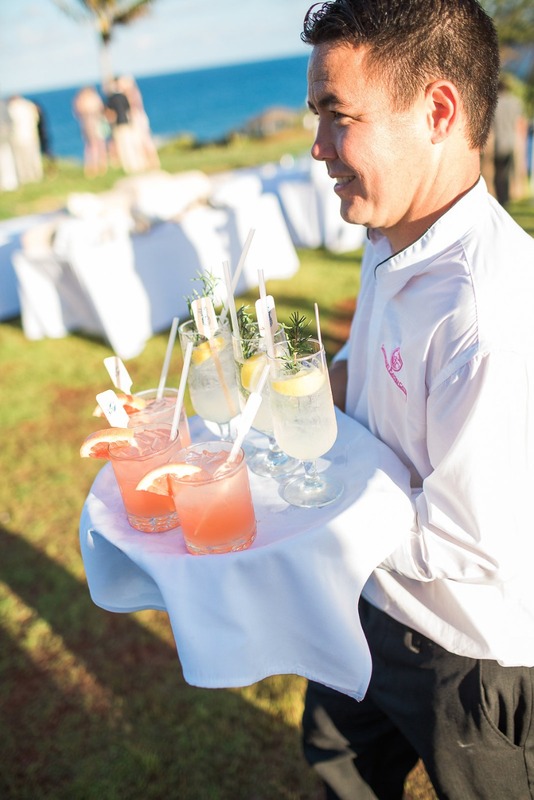 Luckily, Moana Events stepped in and pulled everything together just in time for their blissful seaside celebration. 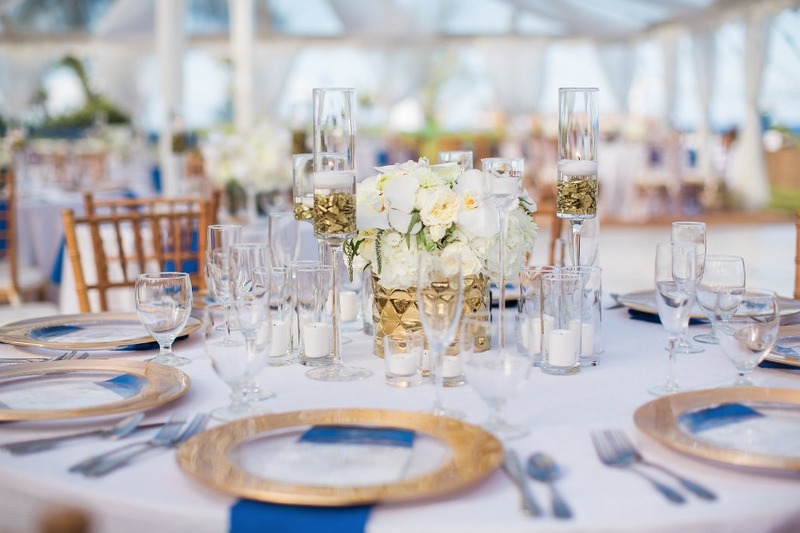 Navy blues, crisp whites and accents of gold adorn their stunning decor from start to finish. 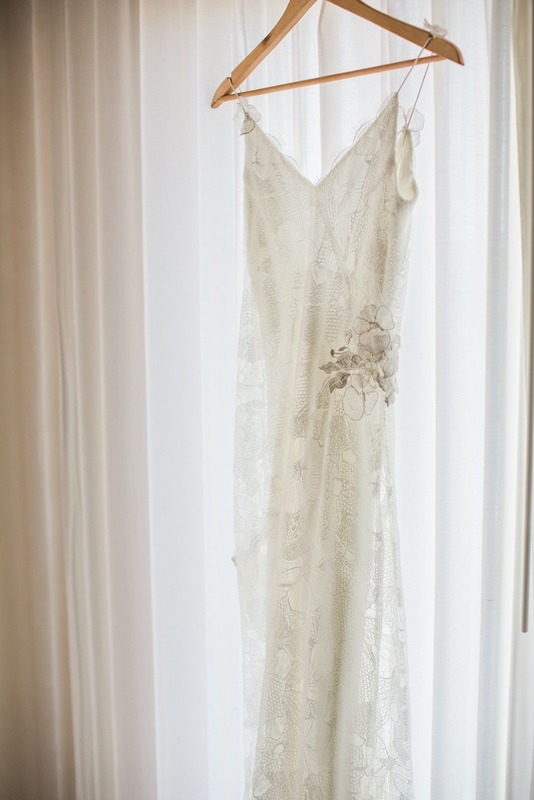 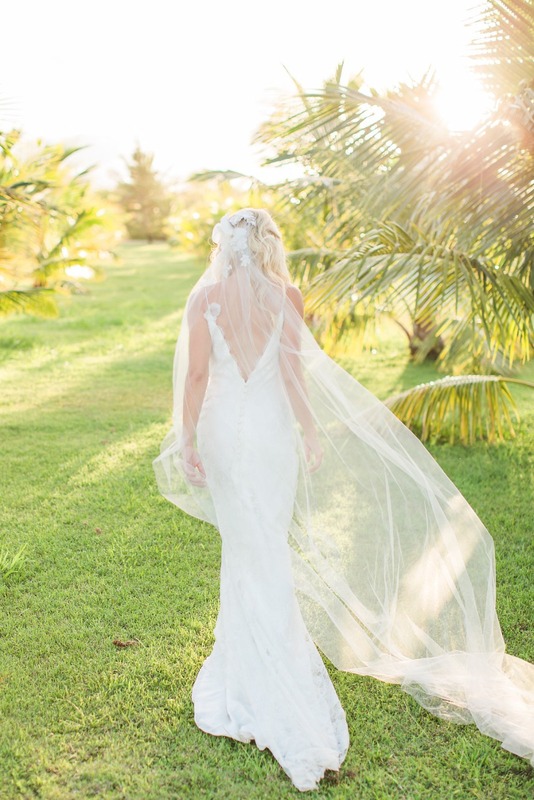 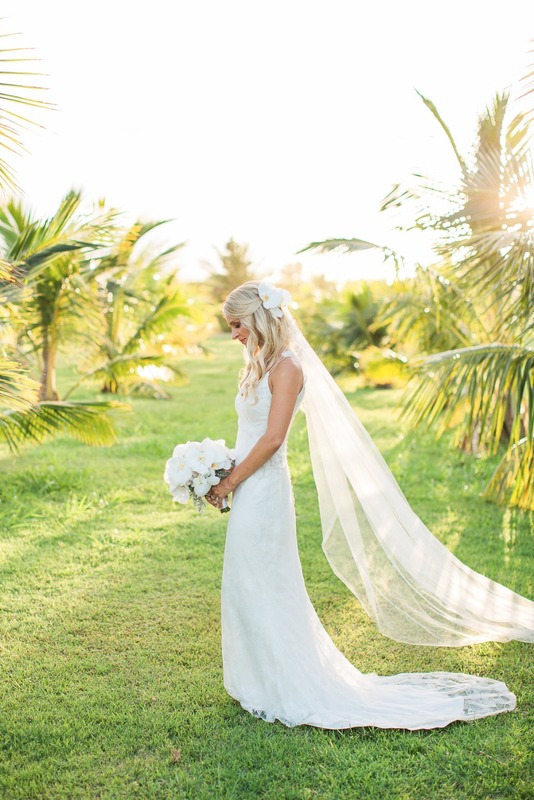 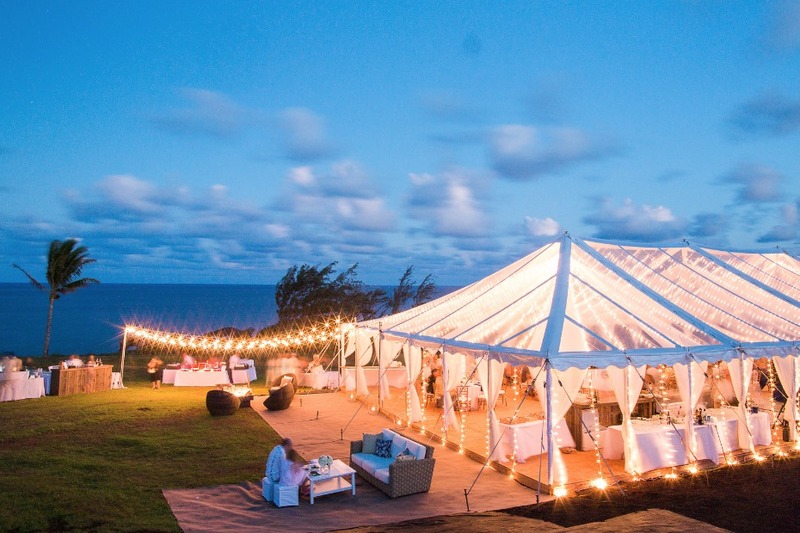 A must-see if you’re planning you’re own island wedding! 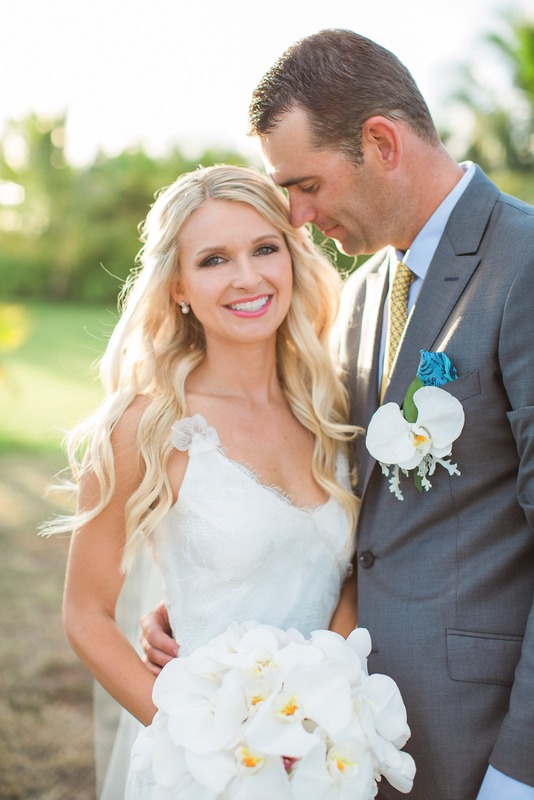 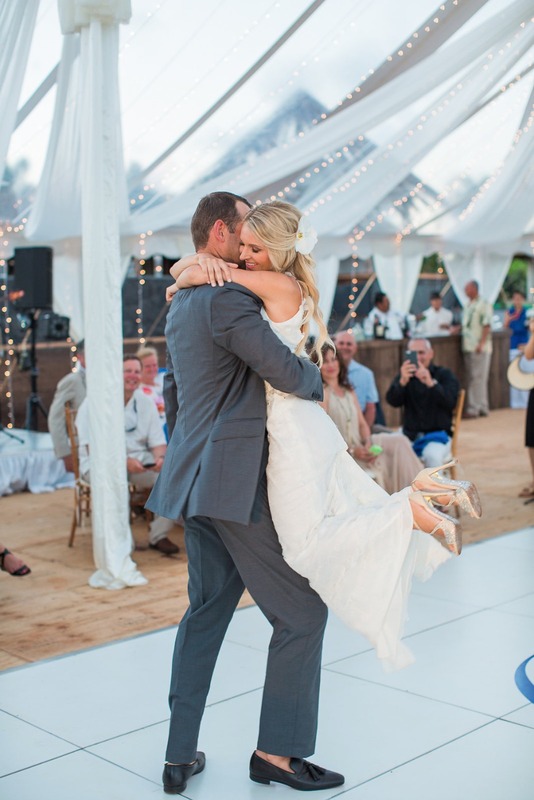 Read more about their story below, plus find a full gallery captured by Sea Light Studios. 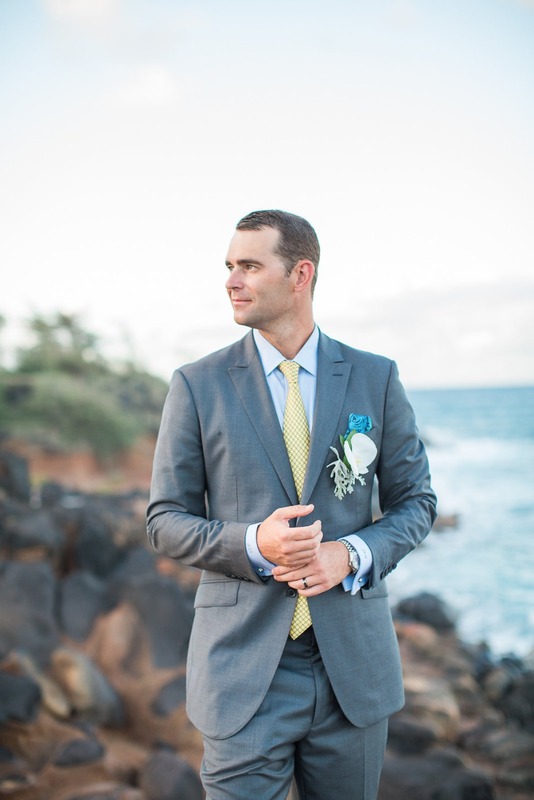 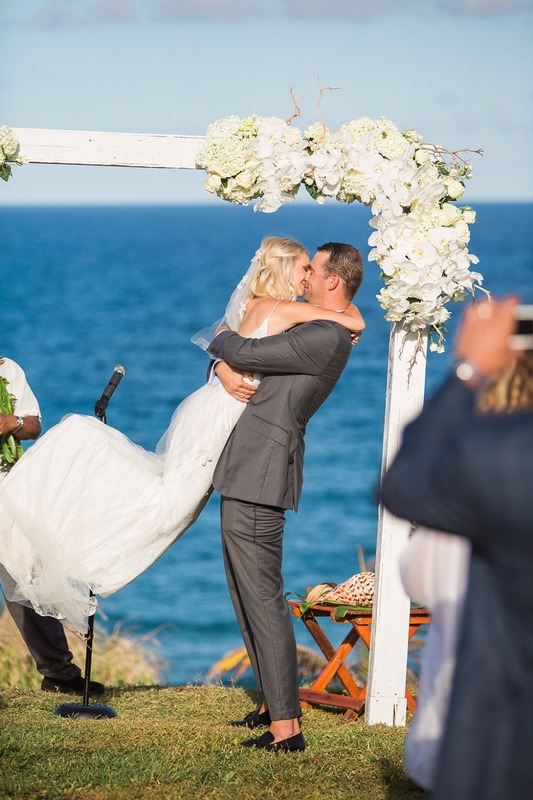 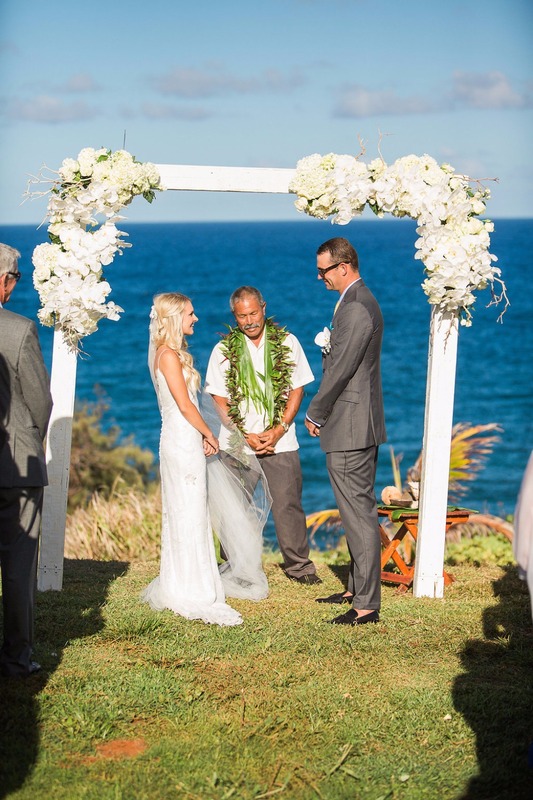 From Moana Events: This fun and outgoing couple were wed at the groom’s families private estate on the Island of Kauai, Hawaii, a property that is very special to them. 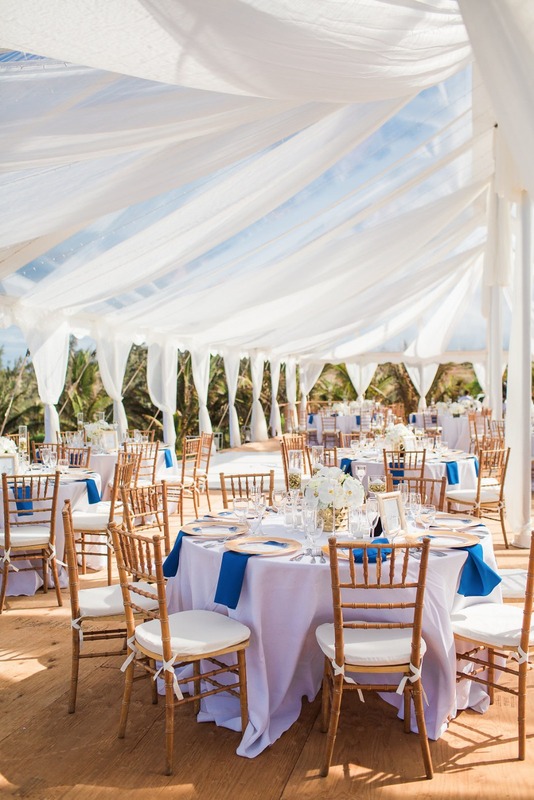 The family was building a house on the property at the time and that was scheduled to be finished prior to the wedding date, however with the island delays the house remained very much an unfinished construction zone a mere week prior to the wedding. 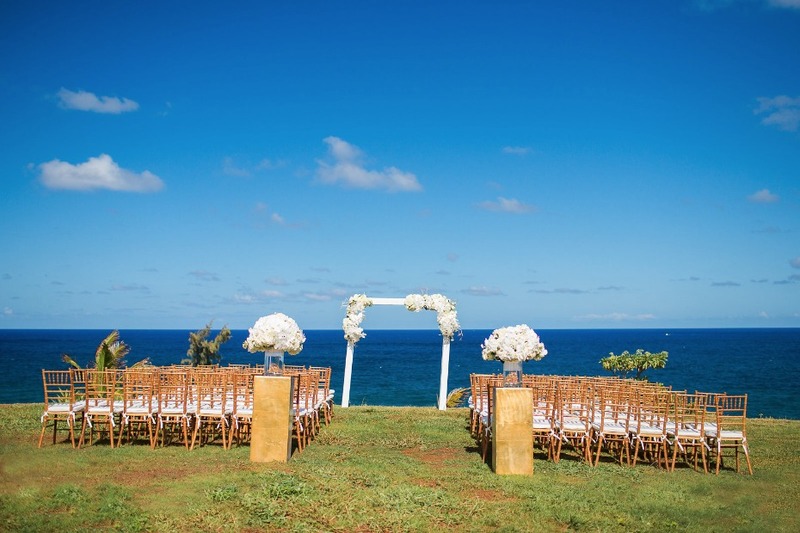 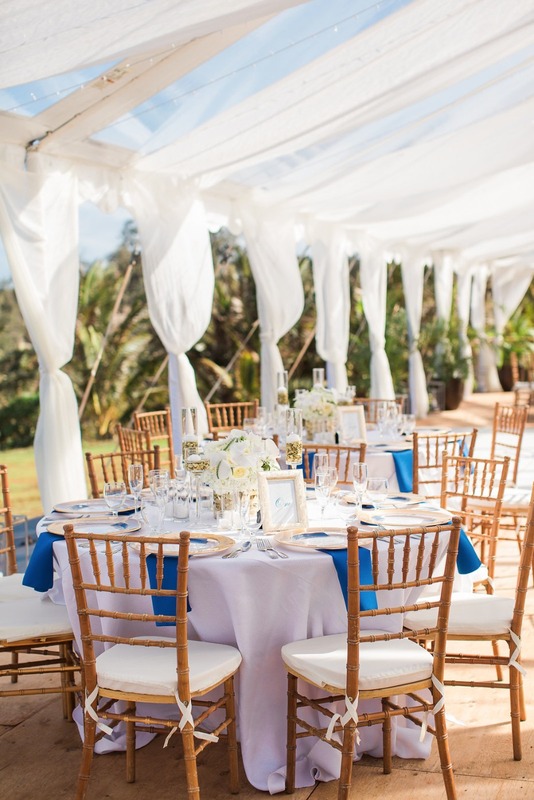 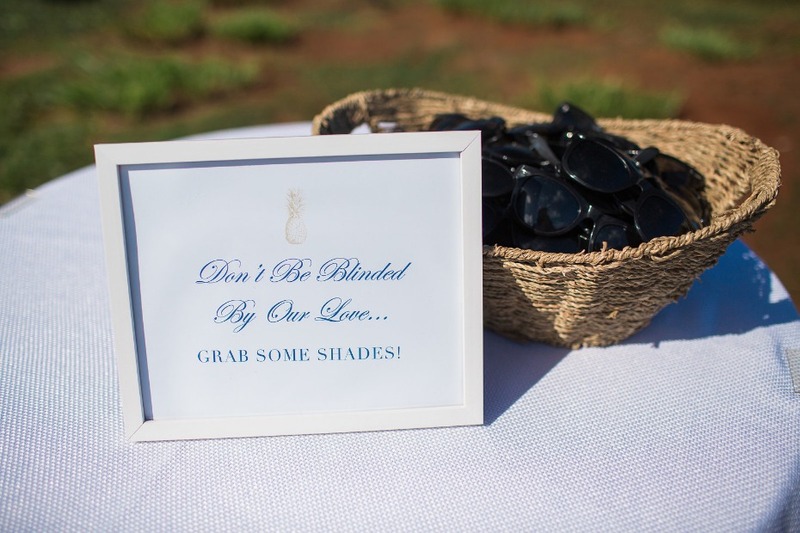 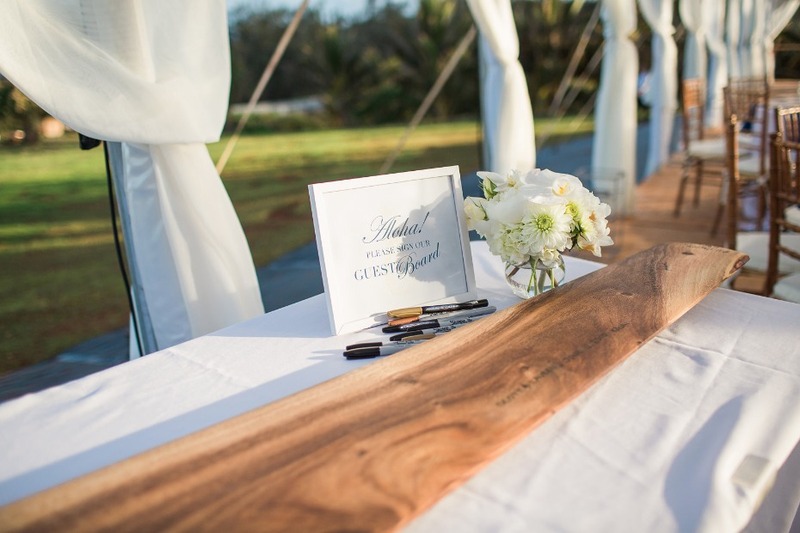 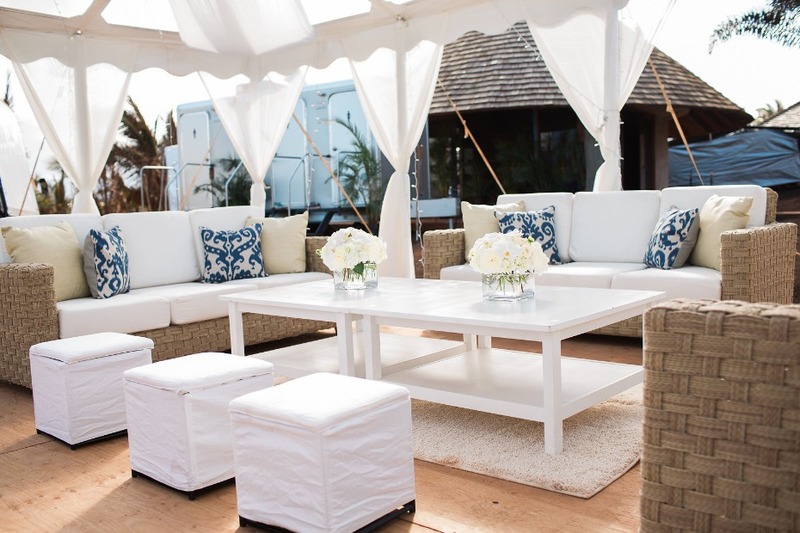 In order to get the property ready for all the guests flying in from all over the US, it took a team effort lead by wedding planner, Morgan Childs of Moana Events to get the site ready in time. 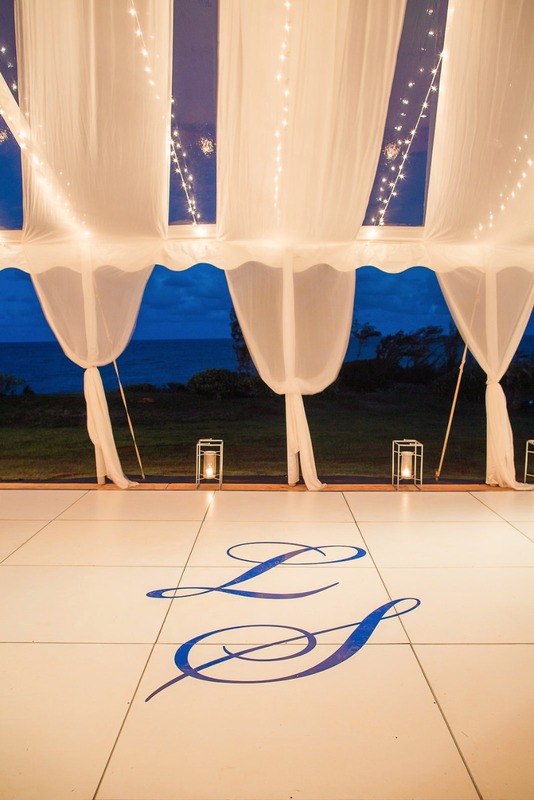 The wedding planners were involved in directing tractors, coordinating building a custom floor for the reception tent, bringing in carpeting for the grounds and all hands on deck were at work to stage all of the landscaping. 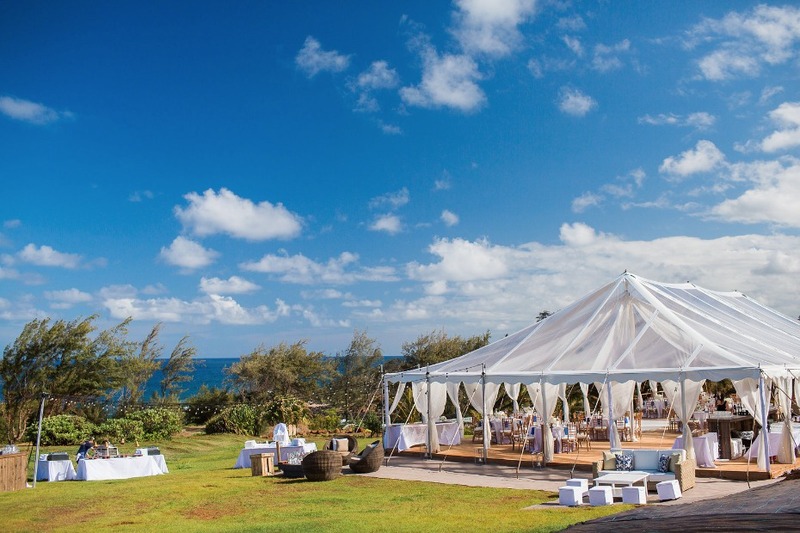 But, it all came together just in time and the wedding day was a beautiful day that showcased the ocean-front estate. 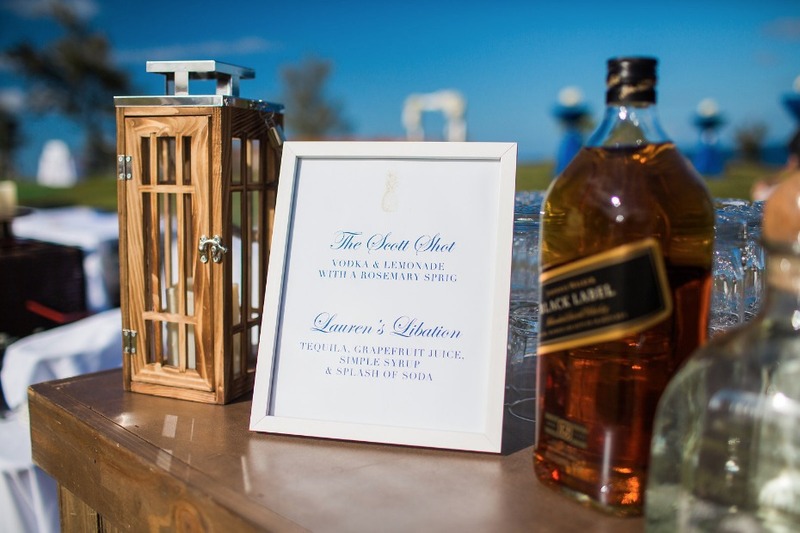 During cocktail hour guests were treated to signature cocktails, cleverly named “The Scott Shot” (vodka & lemonade with a rosemary sprig) and “Lauren’s Libation” (Tequila, grapefruit juice, simple syrup & splash of soda) and were also invited to indulge in a variety of food stations including a Temaki Sushi Bar, Cold Oyster station and a Filet Mignon & Sautéed Fresh Local Catch Action Station. 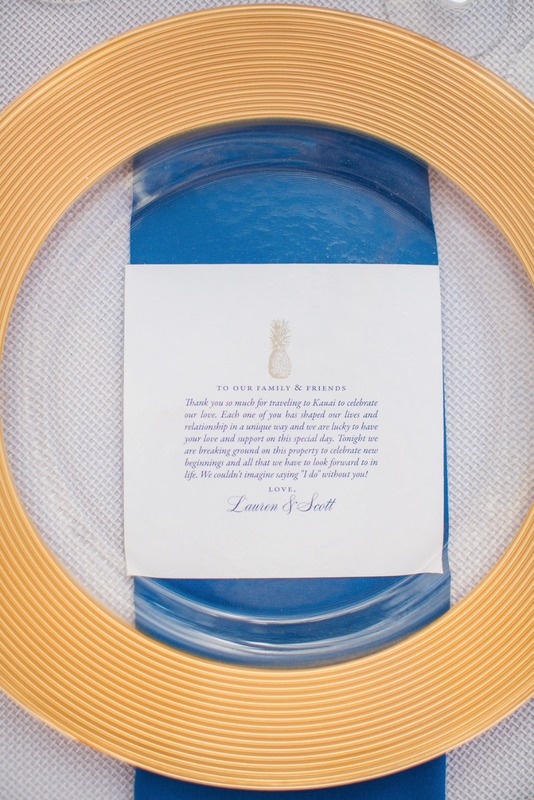 To show their appreciation, Lauren and Scott wrote thoughtful thank you to their guest and had them placed at each individual seat.